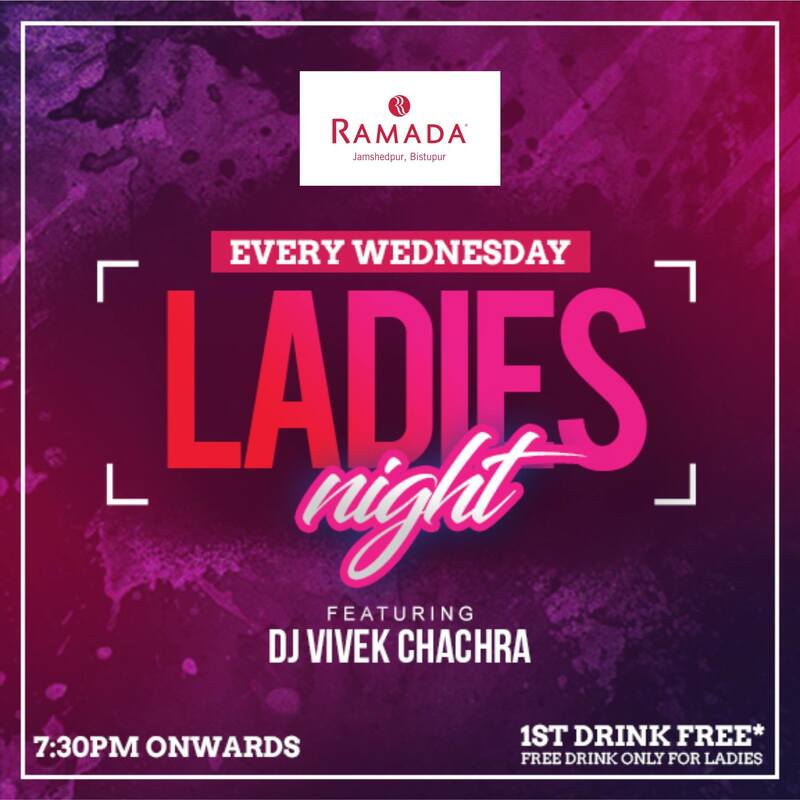 It’s Ladies Night every Wednesday at Ramada Jamshedpur Bistupur, where the 1st drink for Ladies is free ! Rock to the music of DJ Vivek, from 7.30 pm onwards. For Reservations, please call +91 657 6605000. Would you like to comment ? © 2018 Ramada Jamshedpur Bistupur. All Rights Reserved.